HomeProduct NewsPartner is back in stock! Maybe it’s your last chance to get Partner XM-L2 – a reliable and durable device, which significantly differs from other pocket flashlights. Customized with brighter XM-L2 LED it gives you even more power – striking 700 LED lumens (1x14500 / 1xR123). All models are notable for splendid beam distance and stunning brightness. You won’t have any problems with illumination of the details at the distance. TIR-optics with flood light without an effect of “tunnel vision”. You enjoy light without sharp edges, which doesn’t cause a headache. Moreover TIR-optics in comparison with ordinary reflector stands out for greater efficiency. Due to small size and light weight you won’t feel any inconveniences. You may put Partner into the pocket, bag or fixate it on the belt or clothes. It doesn’t create extra weight and suits for long-term carrying. Solid body made of aircraft-grade aluminum. It guarantees trouble-free work of the flashlights after deep scratches, harsh impacts, strong vibrations and even fallings from the height of 10 meters. The flashlights can cope with various environmental extremes and rough use. Perfect water resistance. The flashlights operate without any failures after heavy rains, temperature drops and even after water submersion at the depth up to 50 meters. 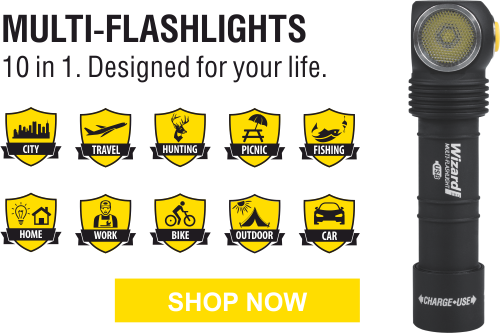 The flashlights are created from the best use-proven components by USA and Japan. Each version of Partner contains electronics developed by the team of experienced scientists and engineers engaged in military and space industry. The LED of American company Cree guarantees incredible luminous power and up to 50.000 hours of operation (=45 years). P.S. Armytek guarantees absolute comfort with our products. We are ready to provide 10 years of no-hassle warranty during which Partner will give only positive impression and ensure no-break operation in any conditions.